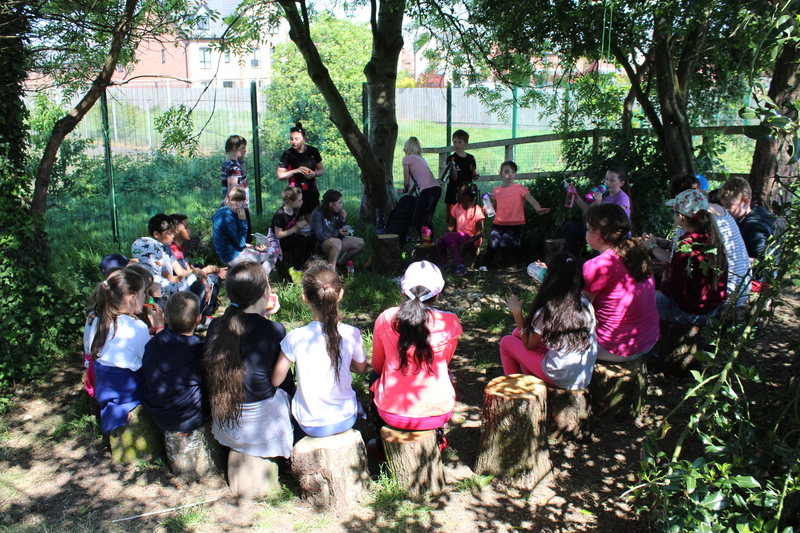 Information about Forest School at St Thomas’ will be published on this page. We are excited to announce the appointment of Miss Grogan, Forest School Lead, who will deliver Forest School at the KS2 site from September 2018! The Forest School philosophy is a unique child-led approach to learning where being with nature, specifically in a woodland environment, is the main educator. The child will use the natural resources available to them within the Forest School and generate their own ideas through curiosity, creativity and imagination. 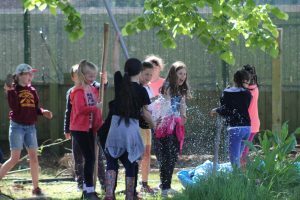 Forest Schools is a long-term journey which will be scheduled throughout the academic year and will take place throughout all four seasons regardless of the weather. “In order to become proficient in skill, knowledge and understanding, then we need to be in a positive learning environment and opportunities to build on prior experiences through repetition” (Blackwell, S (2018) Forest School Association). There is theoretical evidence which underpins the Forest School philosophy and the benefits of being outdoor with nature on neurological development such as: increase d confidence, self-esteem and a rise in concentration levels. Throughout the Forest School journey, children become aware of their emotions and learn to question the impact they may have on the environments they enter and everyone around them. In addition, there are opportunities to establish positive relationships and develop communication skills such as: social norms, tones of voice and proximity, through opportunities such as: den-making or role play. Play is behaviour that is “freely chosen, personally directed and intrinsically motivated” (Blackwell. S, (2018) Forest School Association). Children experience their world and the relationship with it thro ugh play. Natural resources such as, logs, twigs, leaves, mud and acorns are available within the Forest School to inspire the children to engage in (and initiate) play. Children are inspired to create, imagine and pretend through a variety of play experiences, which provides an endless amount of fun and enjoyment to ‘lose themselves in the moment’. How does Forest School support the National Curriculum? 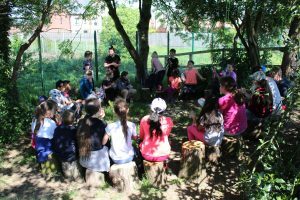 The Forest School learning approach focuses more on the process rather than the activities set within the session. Whilst there will be structure and adult-led activities, the children are in control of their own Forest School learning journey and have the freedom to explore and apply their knowledge and skills in all areas of the Forest School. 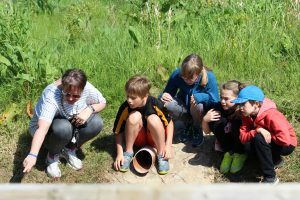 Activities will include: games, storytelling, natural art activities, tools (if skills and behaviour indicators secured), nature watching and bug hunting, practical woodland skills (e.g. willow weaving), mud sculptures, quiet time and reflection. LITERACY – Speech, language and listening skills, vocabulary, spelling, mark-making, handwriting and reading. SCIENCE – Forces, sound, light, life cycles, water cycle, animal classifications, properties, solids, liquids and anatomy of plants. MATHS – Shape, space, measure, reasoning, estimation, area & perimeter, 2D & 3D shapes. ART and DT – Tool use (drill, hammer & saw), pattern, texture, design, collage, sculpture and print-making. PSHE – Self-awareness, emotional well-being, moral & spiritual development, healthy living, personal safety, citizenship and respecting differences. GEOGRAPHY – environments, weather and climate, water, food & farming, recycling, energy, directions and navigation.